Charles “Charlie” Love, age 88, of Helena formerly of Terry. 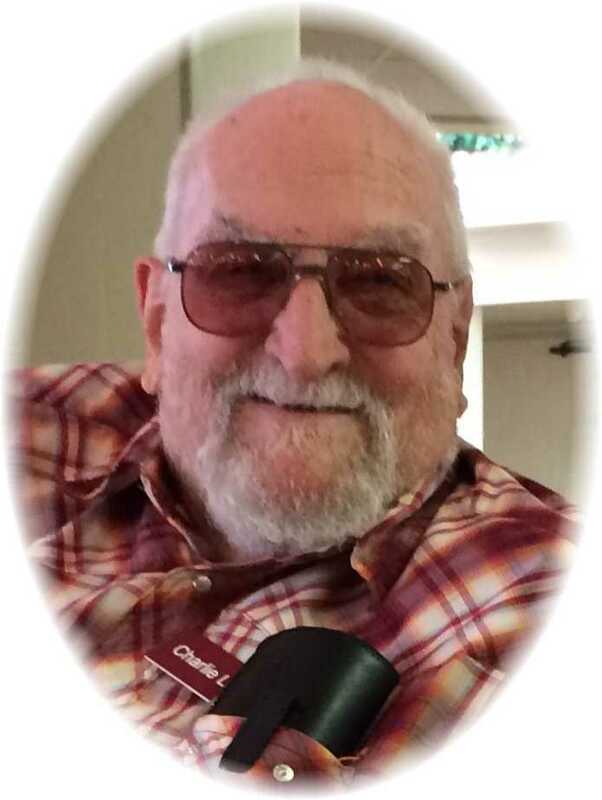 Charles “Charlie” Russell Love, age 88, of Helena formerly of Terry passed away on Tuesday, January 29, 2019 at St. Peter’s Hospital in Helena. Charlie was born in Battle Creek, Michigan on June 6, 1930, the son of Russell and Doris (Franz)Love. He attended schools in Detroit and after graduation, he enlisted in the Navy in which he served from 1947–1949. He then joined the Air Force, serving from 1950 – 1953. Charlie married Mabel Moos in 1953 in Glendive, Montana and lived there a short time. Mable and Charles were married for 56 years. While Charlie was in the service, they moved around a lot. Following his discharge from the service, they settled in Terry, Montana and lived there for 43 years. While in Terry he owned the Standard Station and ran the Conoco Station for many years. He also drove Terry School bus for several years. Charlie then worked construction the rest of his career, even working with the crew that built the bridge between Terry and Fallon. He was a member of the Wesleyan Church in Terry for over 40 years. He loved the Lord and was the Sunday School Superintendent for a few years as well as helping at the Wesleyan Church Camp in Rapid City. Charlie loved to tinker in his shop. He was known as the gadget man by his children. He loved to hunt and fish with his grandchildren and kids. Charlie could tell a great story and his children loved to listen to him play his harmonica. His greatest joy in his life though were his kids and grandkids. He was very proud of his children getting an education and graduating from college. He was preceded in death by his parents, his wife Mabel, daughter Kathy Love, daughter-in-law Holly Love and sister Jean Bullock. He is survived by his children: Tim (Beth) Love of Columbia Falls, MT; Tom (Joyce) Love of Clancy, MT; Penny (Wayne) Hendrickson of Culbertson, MT; Susan (Ron) Hunt of Billings, MT and Lisa Love of Belgrade, MT; fourteen grandchildren, six great grandchildren and numerous nieces and nephews. Visitation will be held on Friday, February 8, 2019 from 1:00-6:00 p.m. at Stevenson & Sons Funeral Home in Terry. Funeral services will be held on Saturday, February 9, 2019 at 2:00 p.m. at Stevenson & Sons Funeral Home in Terry. Interment will follow in the Prairie County Cemetery with full military honors. Condolences may be sent to the family by visiting: www.stevensonandsons.com. Should friends desire, memorials may be made to the charity of one’s choice. Thoughts and prayers are with you all. Charles was one of a kind. He will be missed. Sincere condolences to the Love family. Charlie was a wonderful friend to my family and a man with a sincere heart, who made a very measurable impact in my relationship with God. He was a treasure and asset to our community. To Susan, Tim, Penny, Tommy and Lisa, I am sorry you have to say goodbye, but you know he is in heaven, cheering you on to finish your race and receive the prize, just as he has. Our thoughts and prayers are for Charlie’s family. We are thinking of you all during this difficult time, but rejoice in the promise of the resurrection! My deepest sympathies. May God give you the extra strength, love, courage and understanding needed in the difficult days ahead. So sorry for your loss. God’s Blessings to your family. Charlie was a wonderful uncle and I am so blessed to have been a part of his life. My deepest sympathies and prayers to all. Wonderful memories of this fine man! Sending thoughts and prayers to all of the Love family. May God wrap you in His arms during your time of sorrow. Thoughts and prayers with Charlie’s family today as you remember the life of a man who loved life and never knew a stranger. A man who loved God and loved his family. A man who endured many hardships but who would give all he could to help others. God has already welcomed you home where you longed to be. I always enjoyed visiting with him. I remember his independent, upbeat, people person personality. R.I.P.